Good quality square pattern boot wiper. 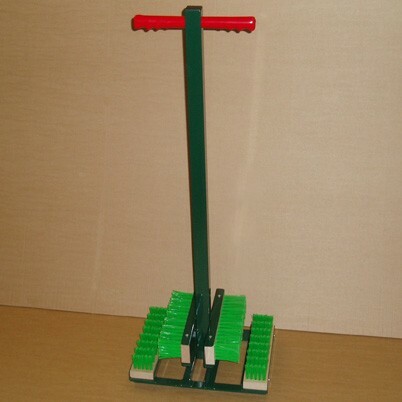 A square steel frame fitted with brushes and one scraper with central steel handle. This model can be bolted down where required. Please note: The illustration is an all-brush model. Also available is a similar boot wiper which has all brushes and no scraper. 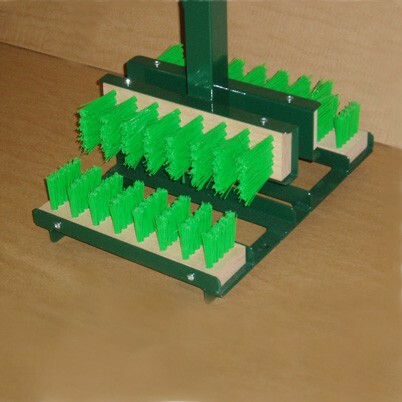 Replacement brushes can be supplied.